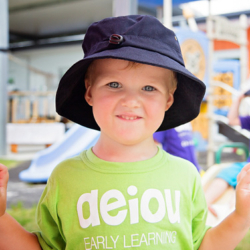 Located on the campus of the University of the Sunshine Coast, AEIOU Early Learning Childcare offers modern, purpose-built and safe facilities, in a caring, fun and educational environment. 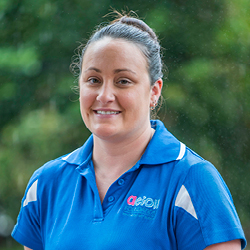 Our experienced team is comprised of professional early childcare facilitators who are chosen for their commitment to providing exceptional care and incorporating contemporary theories of learning within a warm and nurturing educational and care program for children aged from 6 weeks to 6 years of age. The service is provided 50 weeks of the year (closed for 2 weeks over the Christmas and New Year period). 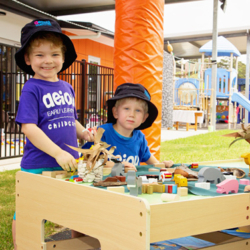 Constructed and operated by one of Australia’s leading providers of early intervention for children with autism, AEIOU Foundation, an additional room in the centre offers an autism-specific program. 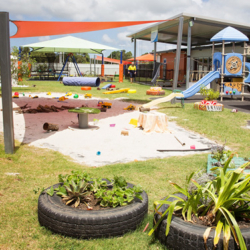 This room is staffed by a transdisciplinary team of behaviour therapists, speech pathologists, occupational therapists and learning facilitators. 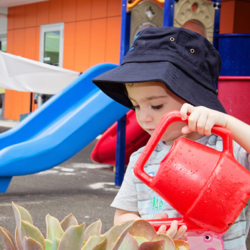 Choosing a childcare centre is one of the most important decisions you’ll make in the early years of your child’s life. We welcome you to contact our Service Manager to arrange a site inspection of our facilities and meet our dedicated team.